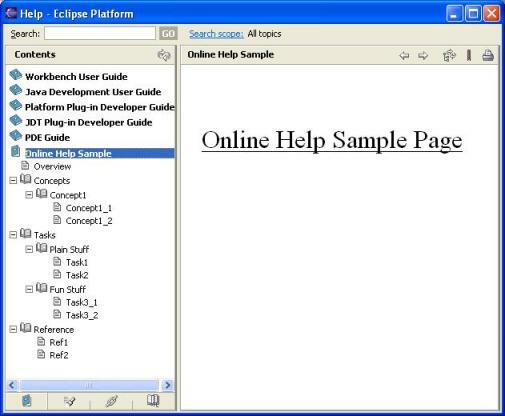 There’s no need to tell how much popular and widely used the Eclipse platform is. And the huge success of it lies in its extensibility. It is extensible through the means of extension points (well defined exposed places/hooks for others to provide extended functionality) and plugins ( providing extended functionality using existing extension points and optionally exposing new extension points). 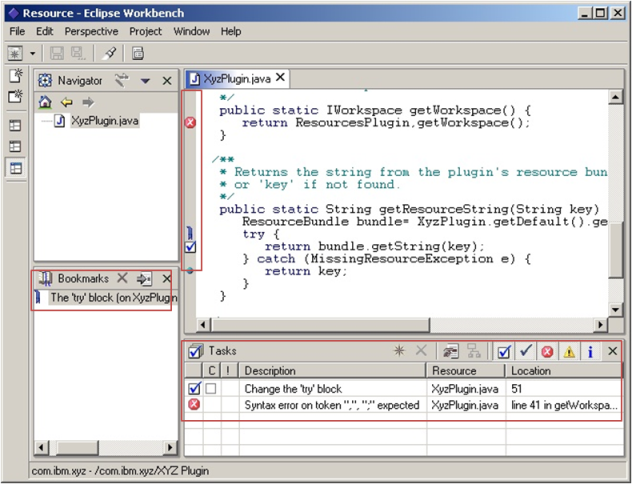 Eclipse itself is made up of many and many of plugins built around the small core runtime engine capable of dynamic discovery, loading, and running of plug-ins. 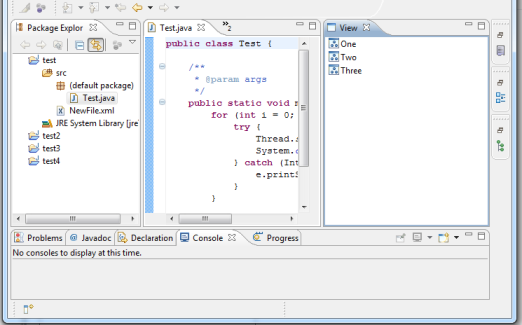 In this post I’m not going to provide a hello-world plugin tutorial or introduction of Eclipse platform (as you can find many good ones on net). I’m going to share what difficulty I faced when I started plugin development. After reading some introduction tutorials I wanted to know quickly which extension points I need to use for some particular tasks. 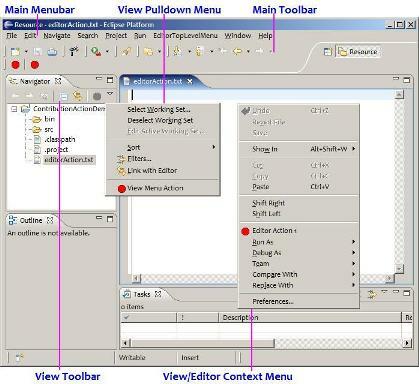 Once we know the name of extension point we can find the details in official eclipse documentation (Extension Points Reference) or even better within platform itself (Plugin Development Environment) when trying to add an extension point it gives the description and sample implementation (if available) to understand. 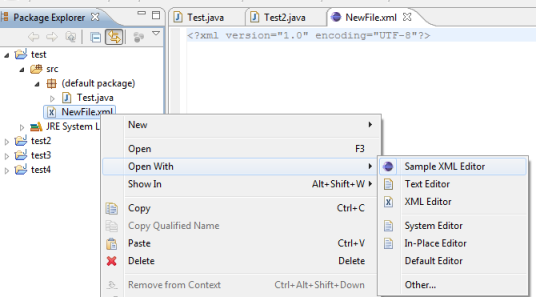 So I’ll focus on quick introduction (to help you get started with further links) of some common extension points and when we can use them (not how) (considered release is Eclipse Juno). 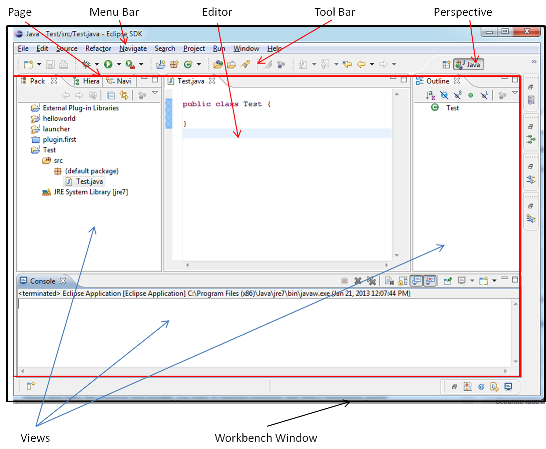 If you need introduction for Eclipse Plugin Development, you can read first http://www.vogella.com/articles/EclipsePlugIn/article.html for example or request google for other ones. But before understanding the various extension points, we need to understand the Platform structure and few terms. The various subsystems (on top of Platform Runtime) as described above define many extension points to provide the additional related functionality. Below are the various components of the workbench UI. 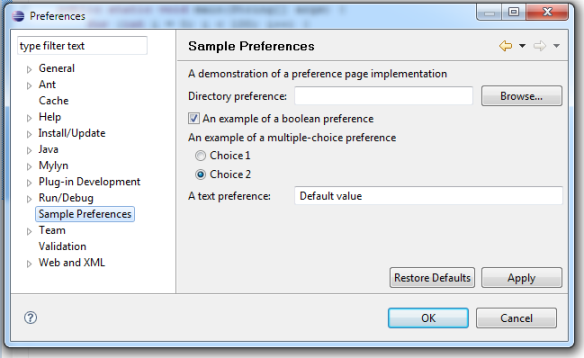 Now below describes the common functionality you want to extend/customize and which extensions points are your friends. I hope it helps someone in the similar need. Let me know if it is useful or if you have any suggestions for improvement. This entry was posted in Uncategorized and tagged eclipse, extension, plugin, point, when on January 21, 2013 by jvishal.